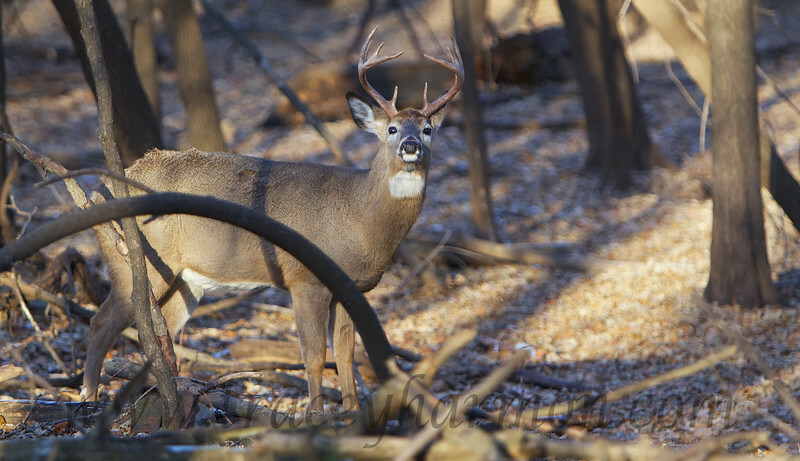 Even though I considered myself knowledgeable about the White-tailed Deer rut, during the week I spent photographing White-tailed Deer along the Mississippi River in Minnesota I saw more rut activity than I had seen in the last forty years. And learned more about White-tailed Deer than what I "thought" I knew. In short, it is worth one's time to slow down and watch what is going on around them in the natural world. Take a week, and have a seat in a Mississippi bottom. You'll be glad you did!